Fashion has never been so warm! Next winter we will feel neither freeze nor cold. Stores, and streets too, are full of any kind of coats, fur gilet and jacket! Every situation has its own suitable overcoat that will complete the outfit while keeping warm and comfort. This season I particurarly like fur gilet and fur coat... they are so warm and soft that I would like to wear them all day long. They can be used as overcoat with shiny little dresses and high weel shoes for a crazy night, or with an all-black short dress and ankle boots for an afternood with friends. 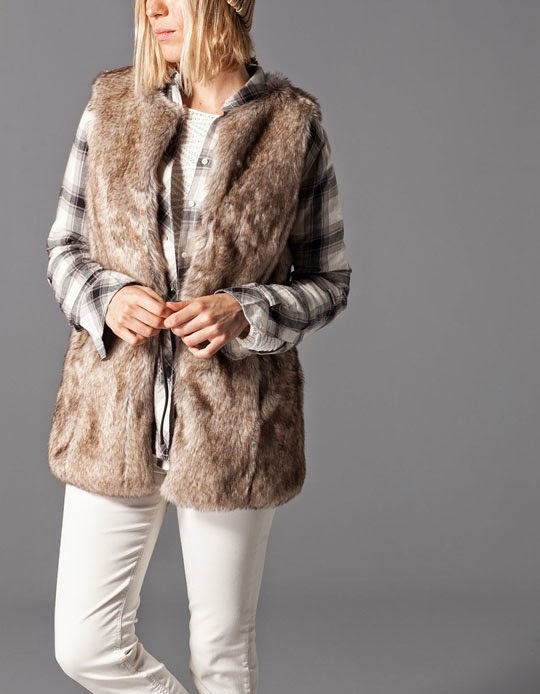 Light colour synthetic fur jacket could be combined with large checked shirt, jeans and boots for a perferct country total look or used over a leather jacket! Tip: Fur coat are so particular that must be combined with a basic outfit like a simple dress or straight or skinny trousers in order to not overcharge the whole outfit. 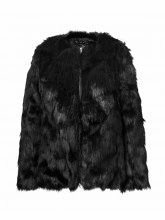 In particular colored fur are very nice if used with a total black outfit and dark colors.